It’s usually very important to seek prompt attention from an expert whenever an appliance is “acting up”, but this becomes more crucial than ever when you’re contending with a not working freezer or fridge. Unlike dishwashers and also laundry area appliances, which are generally not absolute necessities, the refrigerator is an essential of practically each and every modern-day household. It is in use regularly, maintaining food fresh, delicious, and also safe. Whenever those machines break down, homeowners are at the danger for a big number of spoilage if they do not seek the attention of a refrigerator repair expert right away. Since 1999, the team here at Appliance Medic, Inc. has been offering consumers throughout Rockland and Bergen counties, professional refrigerator repairs. Besides outstanding know-how, all of our clients enjoy affordable rates and also services from a friendly, informative team of techs with more than 14 yrs of training and direct refrigerator expertise. We are reachable via both email info@appliance-medic.com and telephone: 845-617-1111, so if you’re interested in repairing or even maintaining your refrigerator, freezer, ice maker, please don’t delay to drop us a line. We have already handled refrigeration repair jobs of all of the sorts and never use anything at all but the best refrigerator repair parts and methods. Simply because your appliance hasn’t quite operating entirely doesn’t mean that you’re not a candidate for refrigerator repair services. Various warning signs, for instance, insufficient cooling, an excessive amount of cooling, and leakage could possibly also be an indication of serious functional flaws. Calling for refrigerators repair service to fix these problems is a great way to catch a reasonably minor problem right before it creates a much more severe one, and it is really an important part of home appliance routine maintenance. Just paying attention to your fridge’s habits and searching for support whenever you think trouble starts could expand your unit’s longevity and offer you far better service all around. Professional diagnosis is important when performing refrigeration repairs. Yet, every symptom has many different possible underlying causes. When you have the issue it can be correctly detected and handled by talking to a professional refrigeration repair professional and it is vital. Keep in mind that just about any dissatisfaction with your refrigerator’s performance is really truly worth investigating. You never know whenever something apparently small, like an unusual sound, might be an outward indication of a bigger problem. At Appliance Medic, we are proud of our attention to details and concerns of our customers, nevertheless, we also take pride in our versatility. We are working with all refrigerator makes and models Whirlpool, Maytag, Hotpoint, Bosch, Kitchenaid, GE, Thermador, Tappan, Viking, Subzero, Kenmore, Sears, Lg of every types and are also available to work on particular unit functions, including providing ge refrigerator repair freezer repairs and refrigerator ice machine repairs. Whether you’re seeking an expert who is well-versed in Maytag, GE, Frigidaire, LG refrigerator repair you can rely on the team at Appliance Medic, Inc. If you want to enjoy the perfect services from your unit and don’t wish to spend an outrages amount of money on a new appliance, keep in mind that freezer or fridge repairs are often a lot more affordable than changing your unit completely. Appliance Medic, Inc. makes the effort to keep your appliance working and has the ability to provide our clients with free appraisals with the repair so you can make a well-informed decision on exactly how to repair your fridge problems. 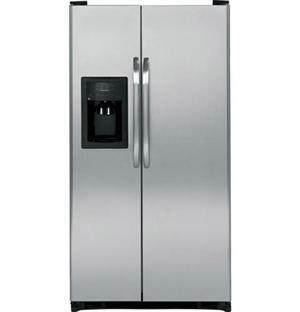 We even offer a 1-year warranty on labor as well as refrigerator repair parts that were installed. If a not working or inoperative refrigerator has been literally making your life a lot more challenging, please do not delay to seek solutions from our specialists. We bring our passion with regard to our work and respect for our clients to each and every job.